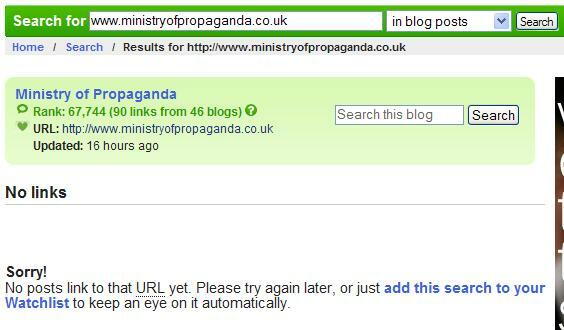 Ministry of Propaganda - 04/Nov/2006: "Technorati Confused Again?" Huh? 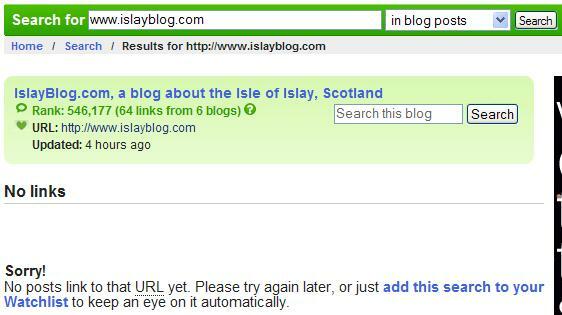 64 links or no links? What is it? I've read Making Sense of Link Counts, but that makes even less sense. The number in the green box is the number of links in the last 180 days. So how can the total number of links ever be none? The last drink I had was/is: Does a soup count as drink? Otherwise water.